Over the last seven years the Qatar-based news network Al Jazeera has become the most important source of information in the Arab world, with an estimated audience of 45 million. Its frankness has infuriated Islamic nations and it’s been denounced as the mouthpiece of Osama bin Laden by the Bush administration. Filmmaker Jehane Noujaim (co-director of startup.com) gets both unprecedented access to Al Jazeera’s reporters at work, and forthright interviews with them. 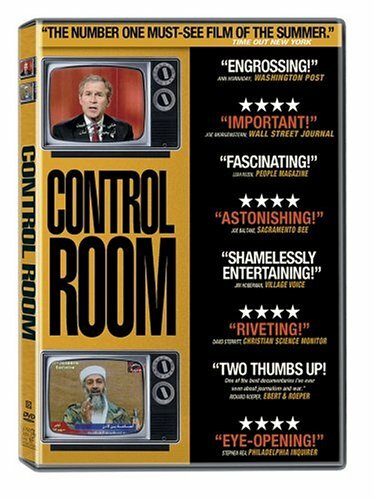 Tracing Al Jazeera’s coverage from the moment of Bush’s March 2003 get-out-of-town declaration, to the ‘fall of Baghdad’, she also takes us inside the US military campaign – as waged at Central Command press conferences. As American and European broadcasters line up for their rations, she compares the responses of their Al Jazeera colleagues. Click here for more info and to get your copy! Rupert Murdoch’s assault on journalism!